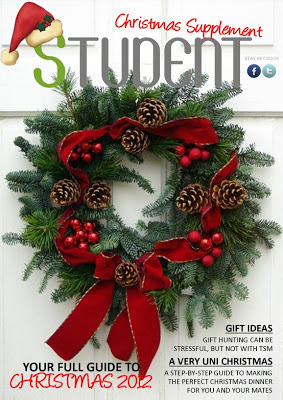 The Student Magazine's Christmas supplement is OUT NOW! There's everything from a Christmas Movie Countdown and Gift Inspiration to Festive Treats and a Uni Christmas Dinner guide! Just click the image above to read it on TSM's site, or read it below.